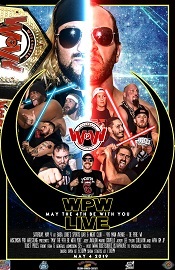 Come see all the stars & all the action as WPW returns to Baba Louie’s in De Pere, Wi. On Saturday, May 4th with May the 4th Be With You! !